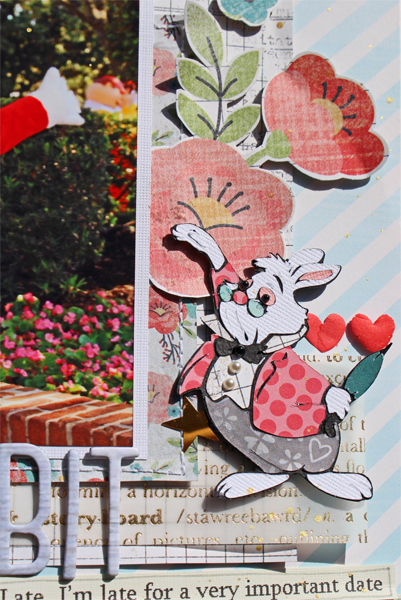 I was shopping at Scraptastic Club Store and I just loved these Valentines papers: "Lucky in Love" by Echo Park Paper and "Hugs and Kisses" by Simple Stories, but I just don't have that many valentines photos. 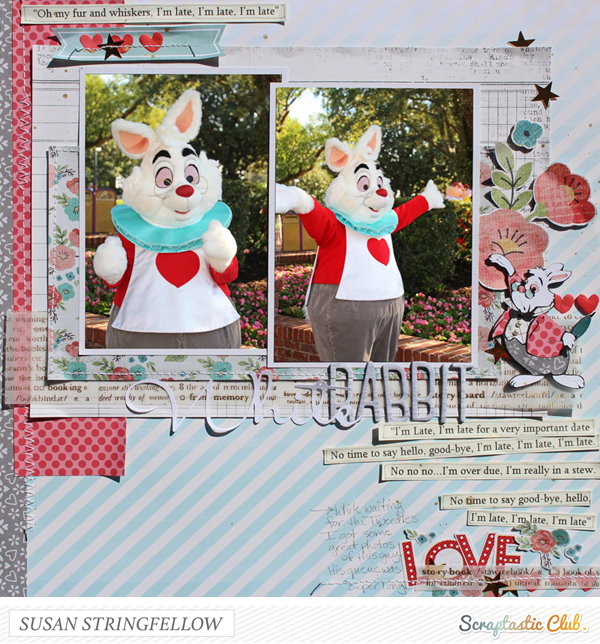 Then I remembered these gorgeous photos I got of the uber soft white rabbit at WDW. There were two queues there: one for Tweedle Dee and Tweedle Dum, and the other super long queue for the White Rabbit. We really wanted photos with Dee and Dum so we waited for them and I snapped a couple of photos of this sweet character, he is one of my favorites. Again with this layout I have some nice gold foil accents in the vellum, the mist, and the sequin stars but it just isn't showing in the photos. I printed lines from the movie/song to use on my page. 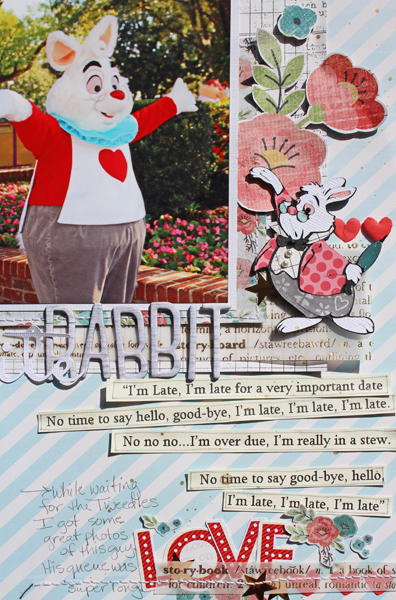 This cute little paper pieced white rabbit is a cricut cut file and I don't make them often but I am so glad I remembered that I had this one because it was fun to make and I love that he coordinates. This is an awesome page!! I love that you printed the lines from the movie and added them! !